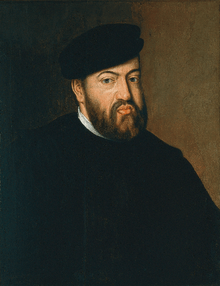 Through the nearly 800 years which Portugal was a monarchy, the kings held various other titles and pretensions. 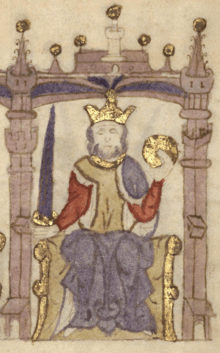 Two Kings of Portugal, Ferdinand I and Afonso V, also claimed the crown of Castile. 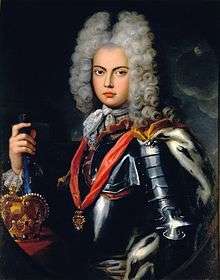 When the House of Habsburg came into power, the Kings of Spain, and Naples, also became Kings of Portugal. 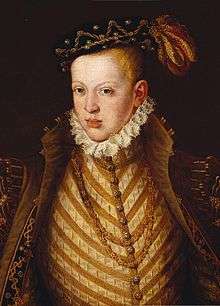 The House of Braganza brought numerous titles to the Portuguese Crown, including King of Brazil and then Emperor of Brazil. 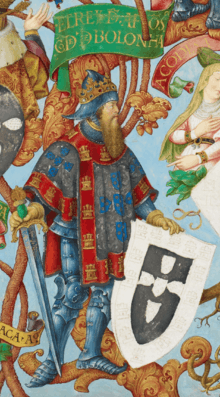 The Portuguese House of Burgundy, known as the Afonsine Dynasty, was the founding house of the Kingdom of Portugal. 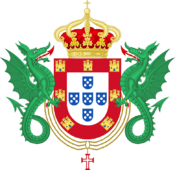 Prior to the independence of Portugal, the house ruled the feudal County of Portugal, of the Kingdom of Galicia. 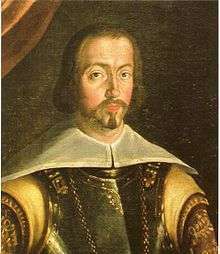 When Afonso I Henriques declared the independence of Portugal, he turned the family from a comital house to a royal house which would rule Portugal for over two centuries. 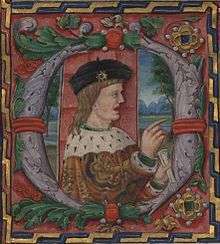 When Ferdinand I died, a succession crisis occurred and Ferdinand's daughter Beatrice of Portugal was proclaimed queen and her husband John I of Castile proclaimed king by the right of his wife. Her legitimacy as a monarch is disputed. 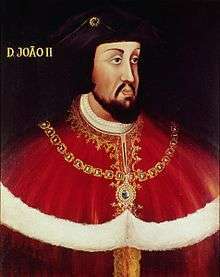 The House of Aviz, known as the Joanine Dynasty, succeeded the House of Burgundy as the reigning house of the Kingdom of Portugal. 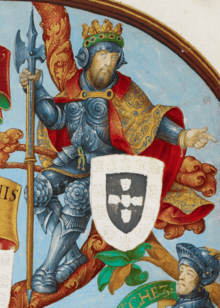 The house was founded by John I of Portugal, who was the Grand Master of the Order of Aviz. 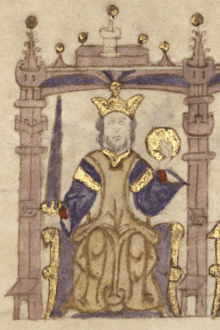 When King John II of Portugal died without an heir, the throne of Portugal passed to his cousin, Manuel, Duke of Beja. 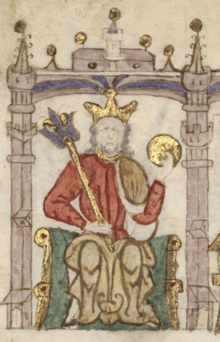 When King Sebastian I of Portugal died, the throne passed to his uncle, Henry I of Portugal. 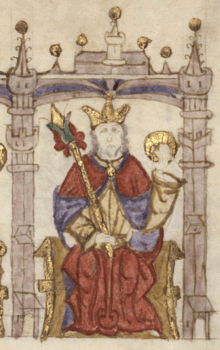 When Henry I died, a succession crisis occurred and António, Prior of Crato was proclaimed António I of Portugal. 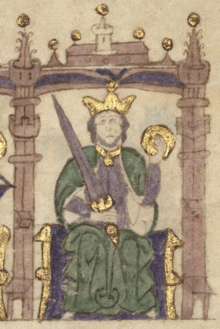 His legitimacy as a monarch is disputed. The House of Braganza, known as the Brigantine Dynasty, came to power in 1640, when John II, Duke of Braganza, claimed to be the rightful heir of the defunct House of Aviz, as he was the great great grandson of King Manuel I. John was proclaimed King John IV, and he deposed the House of Habsburg in the Portuguese Restoration War. 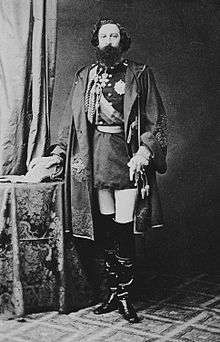 The descendants of Queen Maria II, and her consort, King Ferdinand II (a German prince of the House of Saxe-Coburg and Gotha), came to rule in 1853. 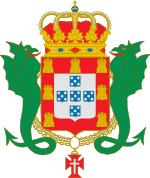 Portuguese law and custom treated them as members of the House of Braganza, though they were still Saxe-Coburg dynasts. This has led some to classify these last four monarchs of Portugal as members of a new family, called the House of Braganza-Saxe-Coburg and Gotha, though this view is not widely held. 1 2 3 4 "While remaining patrilineal dynasts of the duchy of Saxe-Coburg and Gotha according to pp. 88, 116 of the 1944 Almanach de Gotha, Title 1, Chapter 1, Article 5 of the 1838 Portuguese constitution declared, with respect to Ferdinand II of Portugal's issue by his first wife, that 'the Most Serene House of Braganza is the reigning house of Portugal and continues through the Person of the Lady Queen Maria II'. 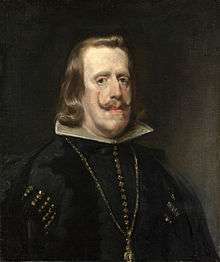 Thus their mutual descendants constitute the Coburg line of the House of Braganza"
↑ Some historians consider that Manuel II was preceded by his elder brother Luís Filipe, not by his father Carlos. In fact, while king Carlos died instantly under the bullets of the anarchists on 1 February 1908, his son Luís Filipe, the crown prince, survived for a few hours, enough to allow governmental officials to name him king. This act is, however, usually considered as historically irrelevant, given that the crown prince never recovered from his coma. 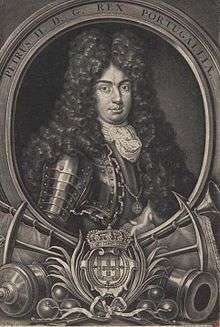 His younger brother Manuel (who was also injured, though not seriously) is therefore considered to have been the direct successor of the murdered king Carlos I.